At Web Media PDX we do not overlook the details. By implementing custom fonts to match the theme we are able to create a site that looks amazing and is easy to read most importantly. 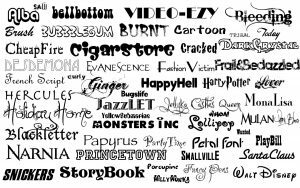 We have access to over 600 font family’s too choose from for your site. We make sure all the fonts are the same throughout your site and can easily switch the whole theme’s fonts out, in two easy steps after its all setup. Proper Headings and Paragraphs make a huge difference in the ability to convey your information to your customers. Many designers simply do not take the time to do that extra step and perfect your sites overall look. Headings also make a difference in whether or not you show up in search results and that is majorly important!